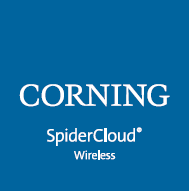 Corning SpiderCloud provides scalable and seamless cellular coverage and capacity for in-building networks and venues, all over your existing LAN. Combined with Corning® Optical Network Evolution (ONE™) Solutions, you now have access to a full-solution portfolio including fiber and power, software defined LAN (SD LAN), small cell, and cellular DAS. 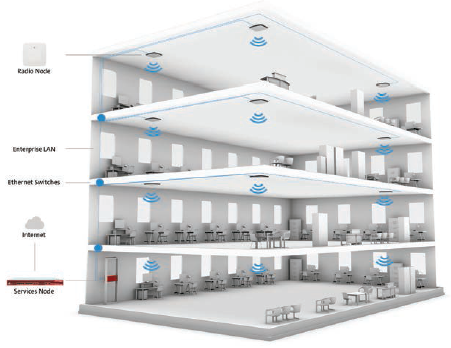 What Is the Value of Combining SpiderCloud Small Cells and the ONE Infrastructure? High SIM density: Determined by connected devices per square foot, SIM density ranges from low (residential) to ultra high (stadium/convention center). The ONE system provides a robust infrastructure and virtually unlimited bandwidth for the SpiderCloud E-RAN and other network services that support an entire range of densities. 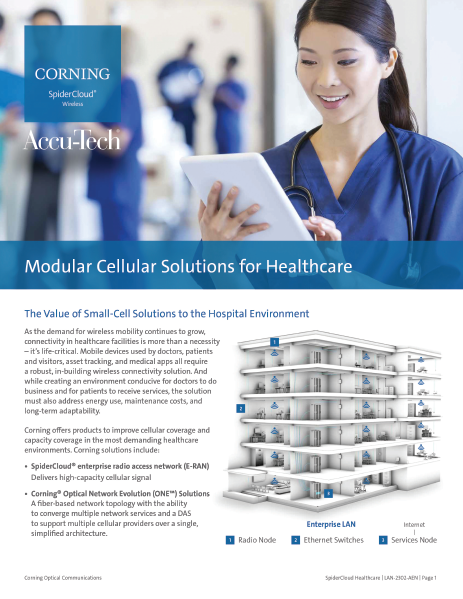 Multicarrier needs: Whether the targeted facility needs only two or all four of the major U.S. carriers, Corning cellular solutions can support any scenario. 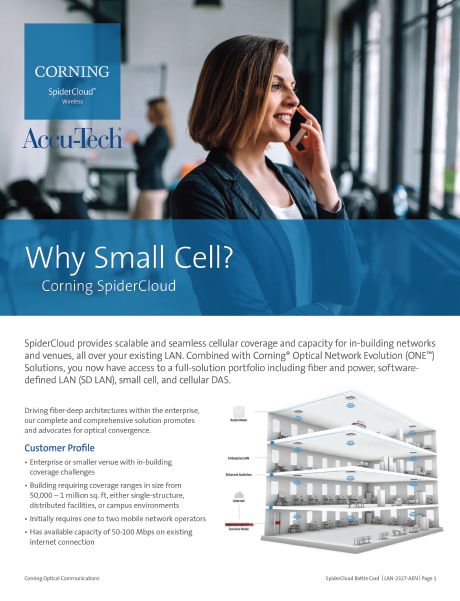 Building size: Building size is no longer a factor in determining a cellular solution, and has been replaced in importance by network applications and carriers that support critical connectivity today. Contact your local Accu-Tech representative to start designing your ideal solution today.